Bathing facilities with lots of equipment and services. 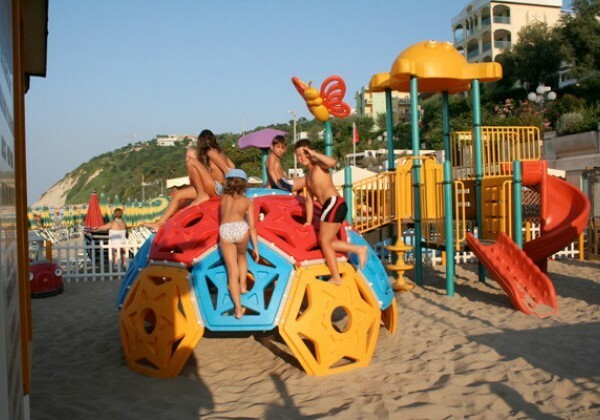 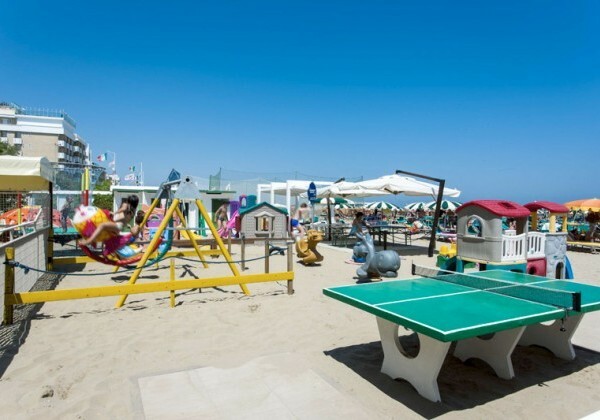 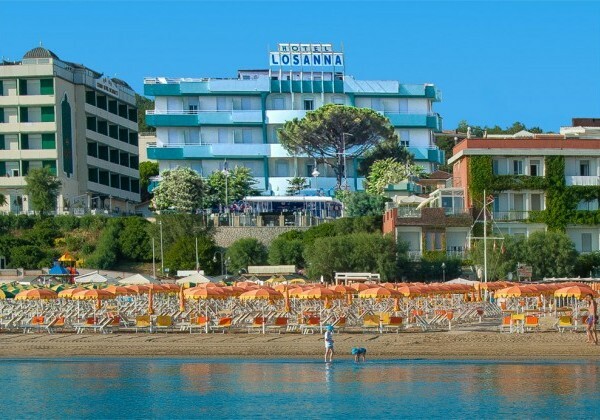 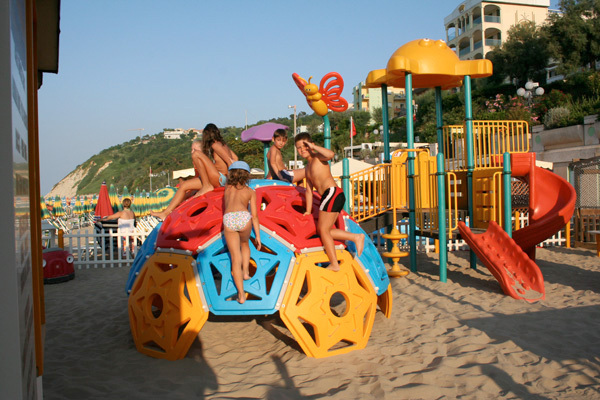 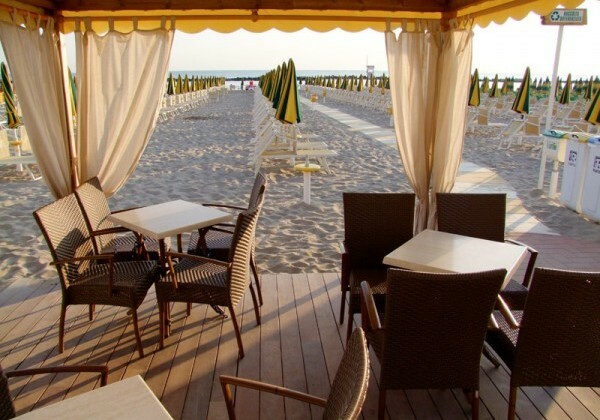 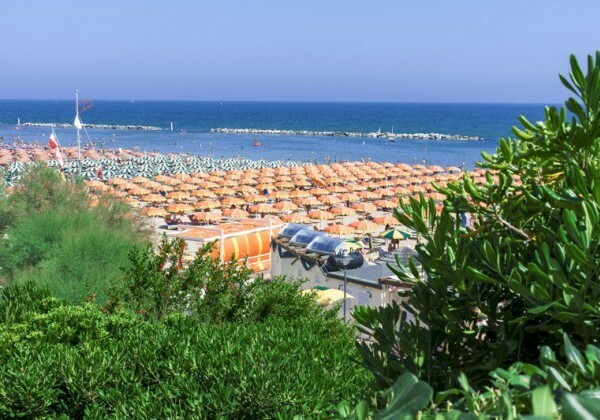 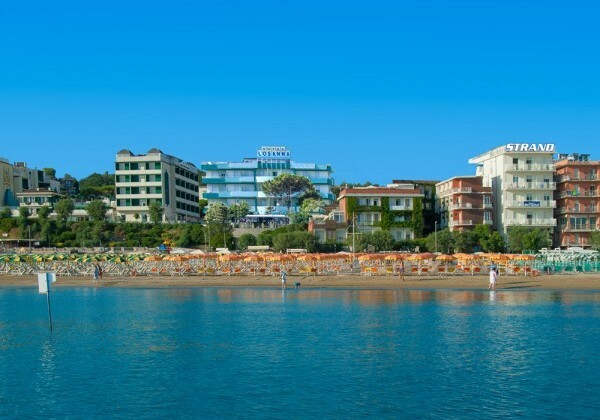 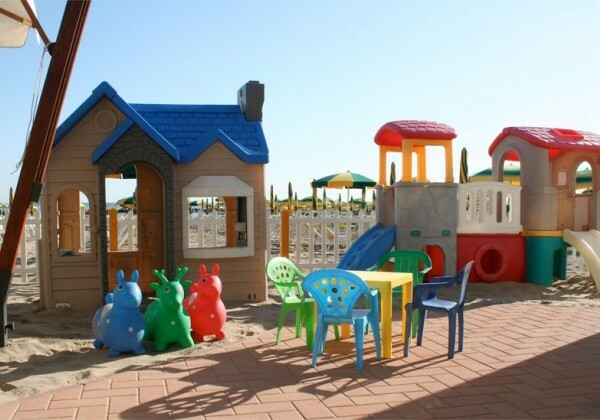 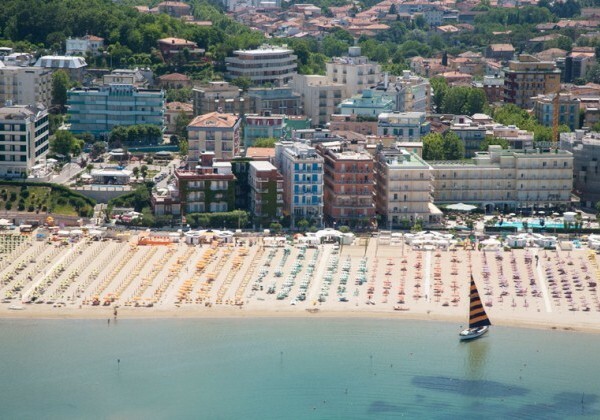 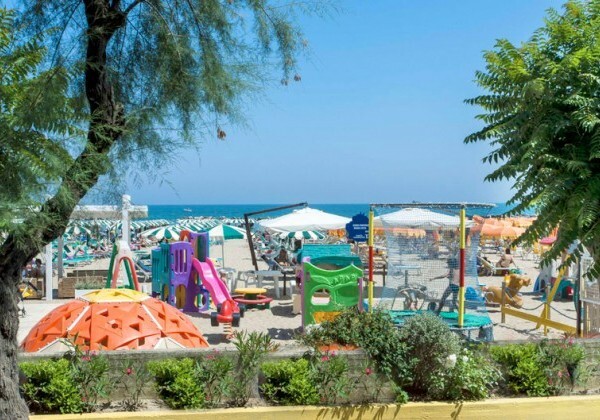 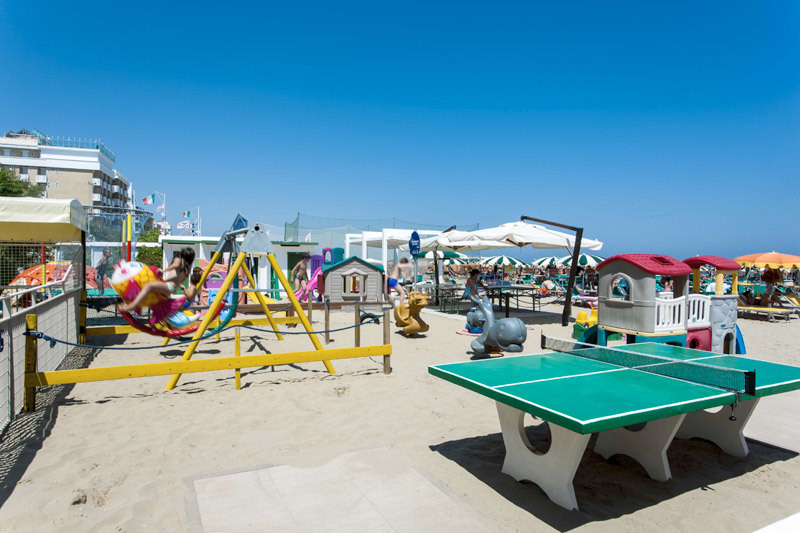 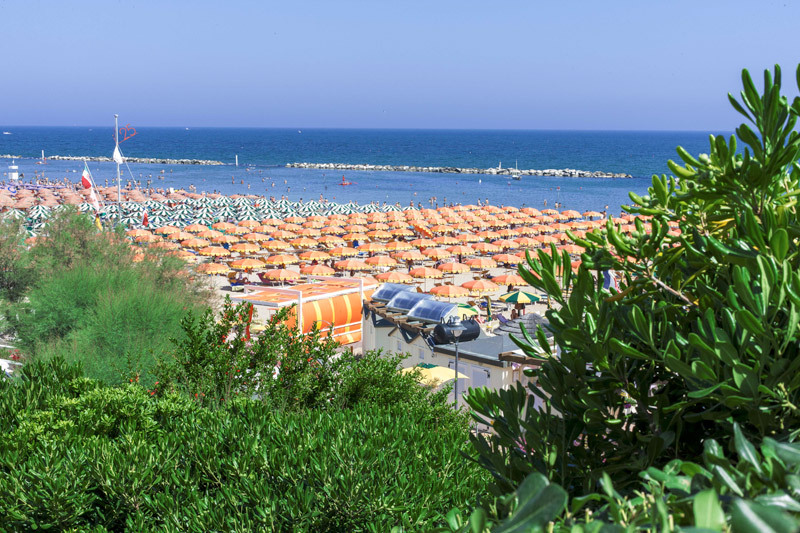 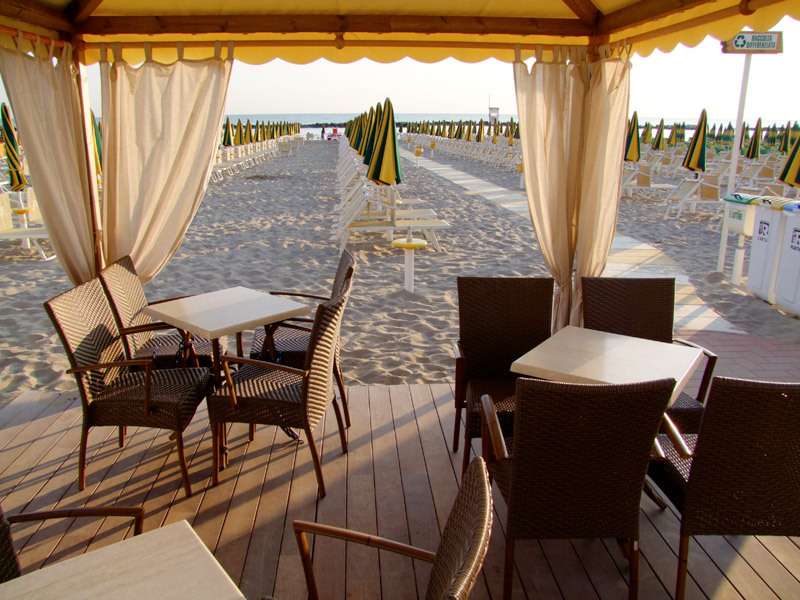 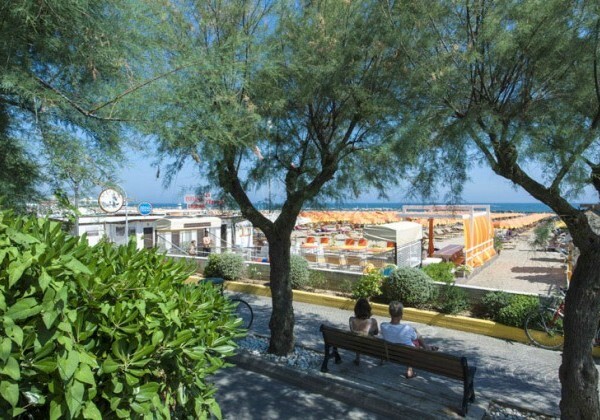 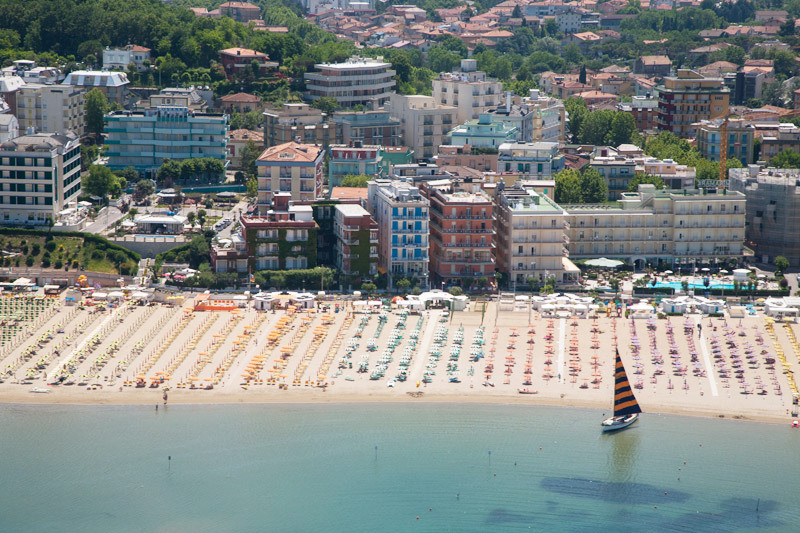 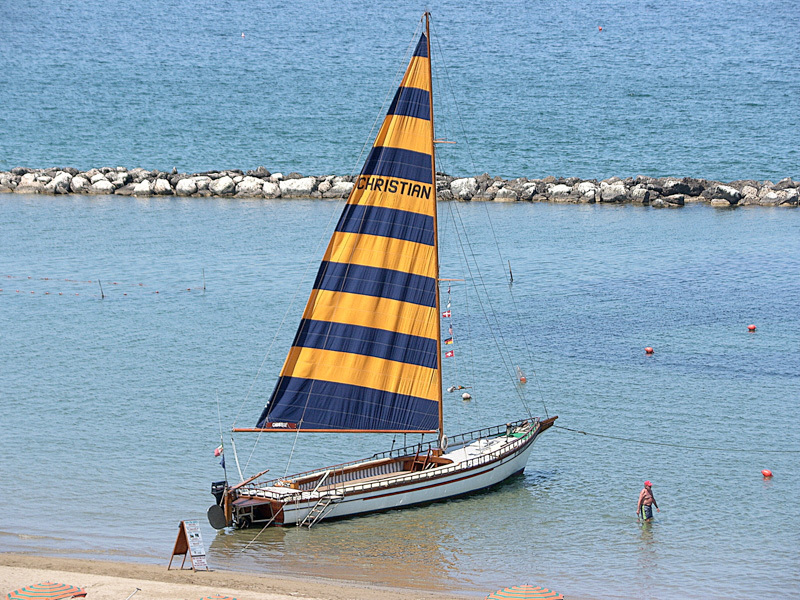 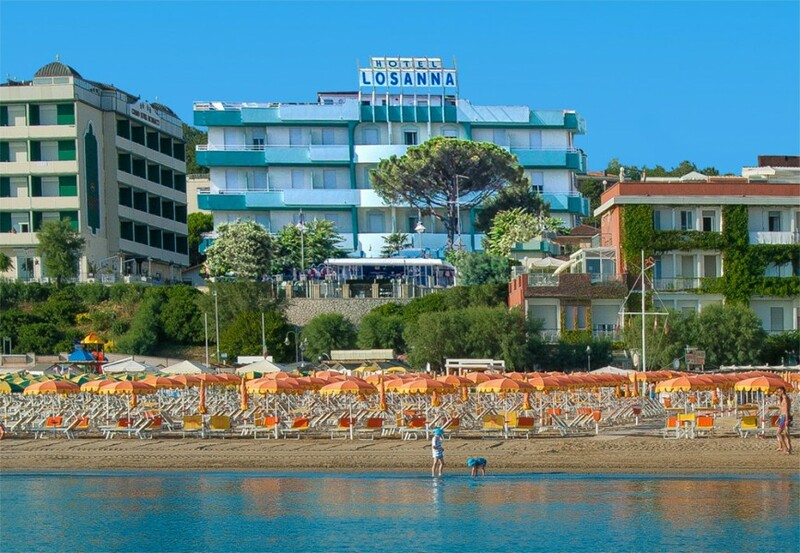 Our beaches ( Bagni 25 and Zona 26 ) are featured with very low depth and subtle sand, also fit for families with kids. 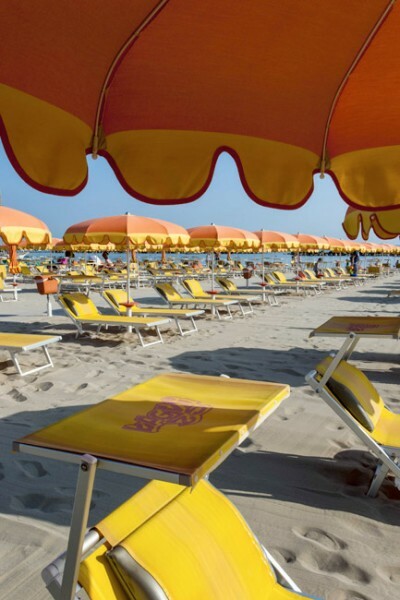 FREE BEACH nearby with beach umbrellas provided by the Hotel. Since 1987, Gabicce has been awarded the blue flag: a high quality brand for the features of its water, environmental education, etc. 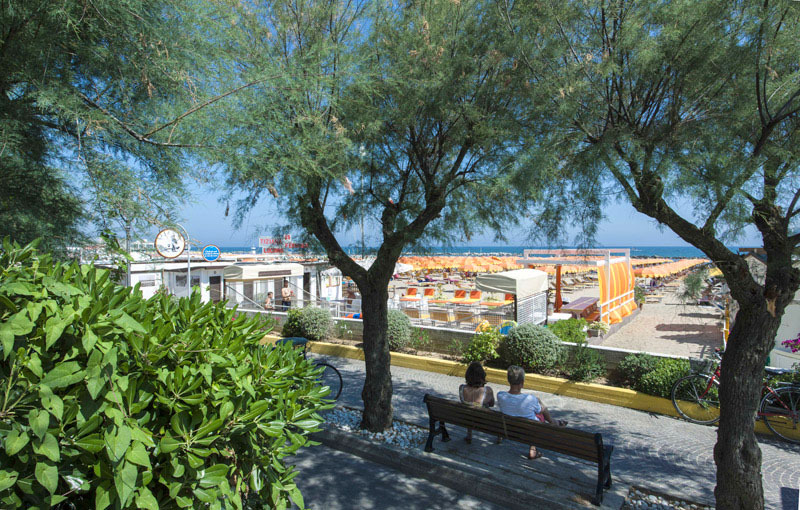 When you are on the beach, you will appreciate a unique landscape… so near to the cliff of San Bartolo Natural Park, which sinks in the sea, hiding Vallugola port (attended by sport and show business people). 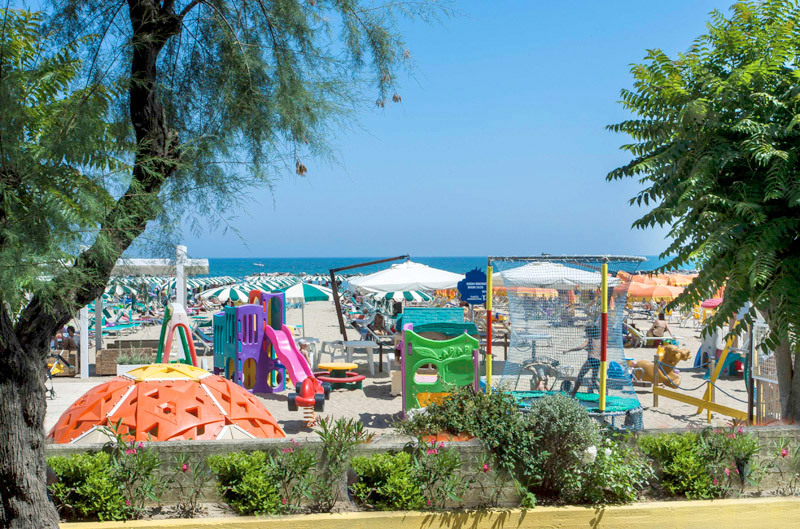 The hotel has agreements for special prices with several beach resort which will provide you beach umbrellas and sun loungers, cabin in common, heated and cool showers at special prices (or included in the ALL INCLUSIVE formula). 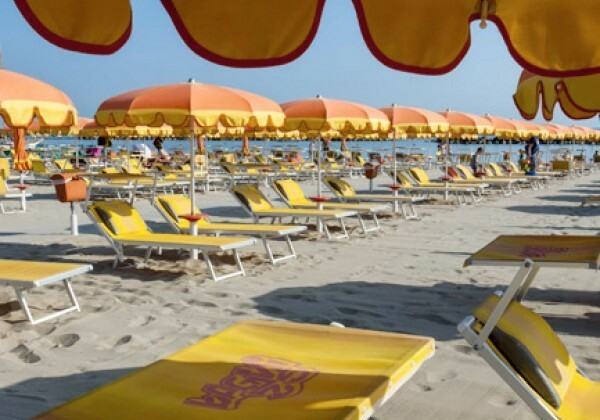 Rescue service nonstop from 9,30 a.m. to 6,30/7,00 p.m. 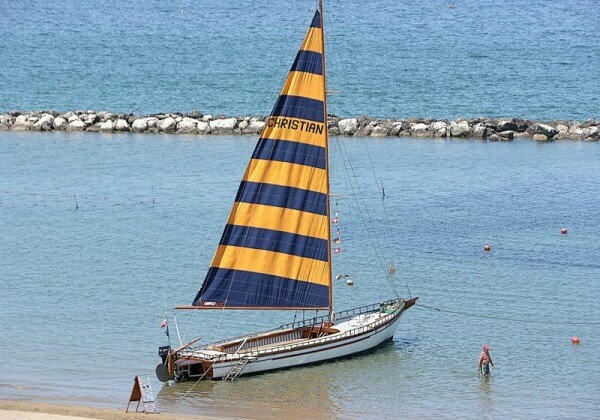 It can be possible to attend classes and to organize day trips by a 8 mt sail boat, with federal instructor F I V, for classes of 3-5-7 days!